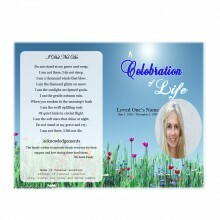 Looking for a funeral program template that will allow you to pay tribute to your loved one in a sophisticated, elegant way? 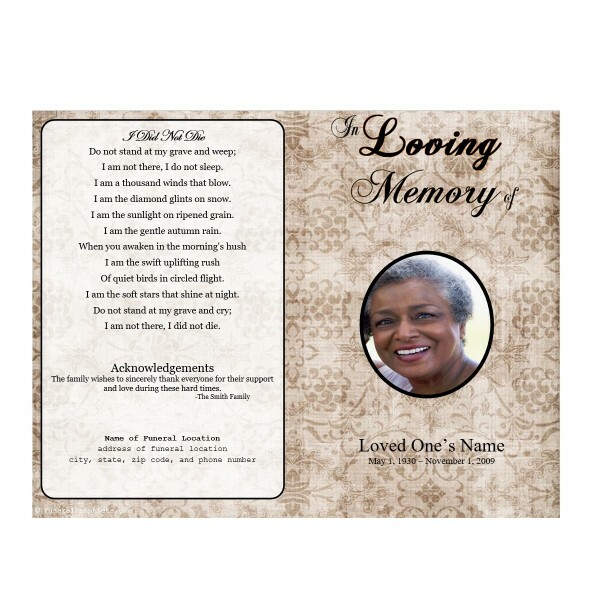 This Single Fold Memorial Program Template is the perfect solution. 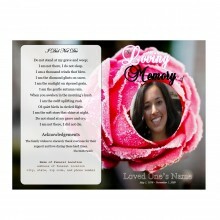 This funeral template Word download has a lovely background on its cover that is inspired by vintage fabrics. The print is a tone-on-tone taupe floral motif with vines and blossoms. 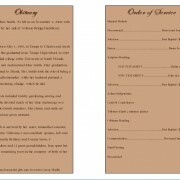 It’s the ideal choice of funeral templates Word documents for women who had timeless taste as well as for those who enjoyed crafting and sewing. 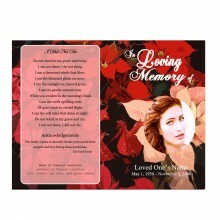 We have designed this memorial program to be as easy to customize as possible. 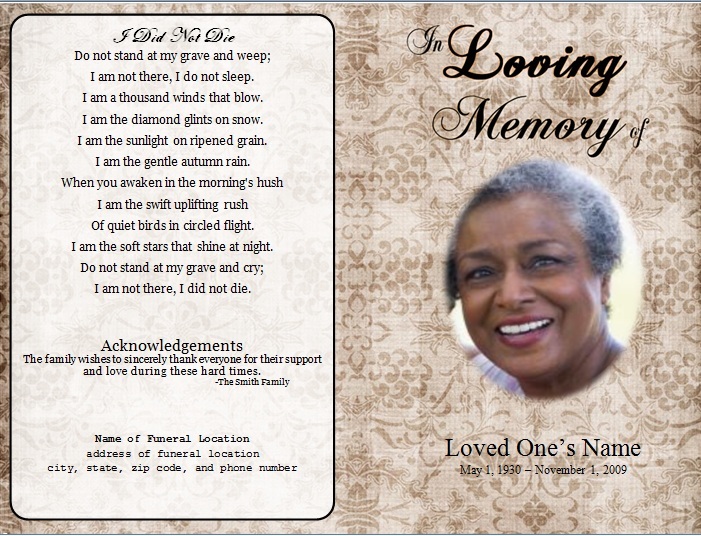 Everything from the photograph on the cover to the funeral program wording in the obituary template inside can be altered fast. 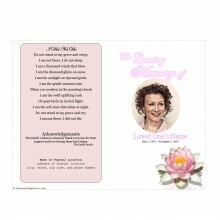 There is also a sample Order of Service that you can customize on the inside. When the finished programs are turned to the back, they’ll be treated to the same pattern from the front shown beneath a text box that includes a poem, acknowledgments and information about the location of the funeral. The boxes on the interior are brown in color to match the outside. The program is very simple to print on standard 8.5″ by 11″ paper. 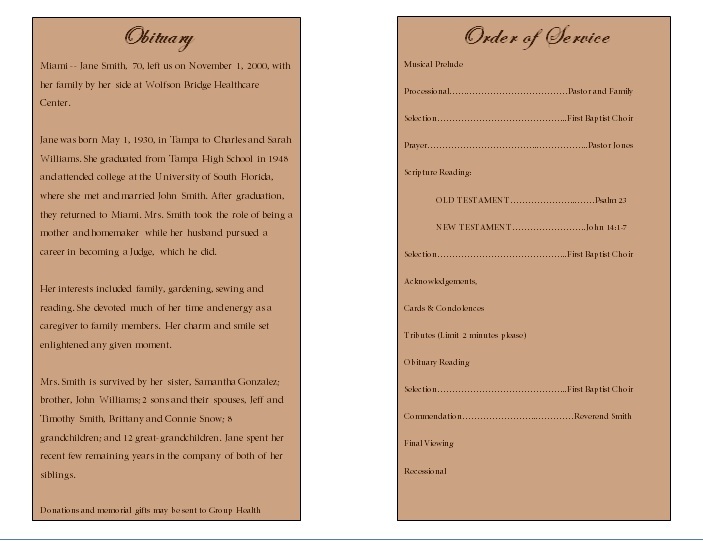 The finished funeral programs are also quick and easy to assemble; only one fold is needed per page. 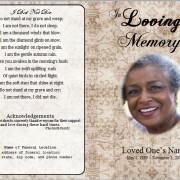 If you’re pressed for time, we can handle the customization for you for a small additional fee and then deliver a ready-to-print final memorial service download to you.